Growing up isn’t easy. When you’re doing it far from home and all alone, it’s petrifying. That’s the task that faces sixteen-year-old Shane in Tommy Murphy’s Strangers In Between at the Kings Head Theatre. Director, Adam Spreadbury-Maher, brings us yet another remarkable piece of theatre. Though not exactly a love story, Strangers In Between will be loved by anyone who is lucky enough to see it. Shane has run away from home and is struggling to make it on his own. He befriends two very different characters, Will and Peter, both of whom enrich his life in various ways, while helping him overcome the demons of his past. 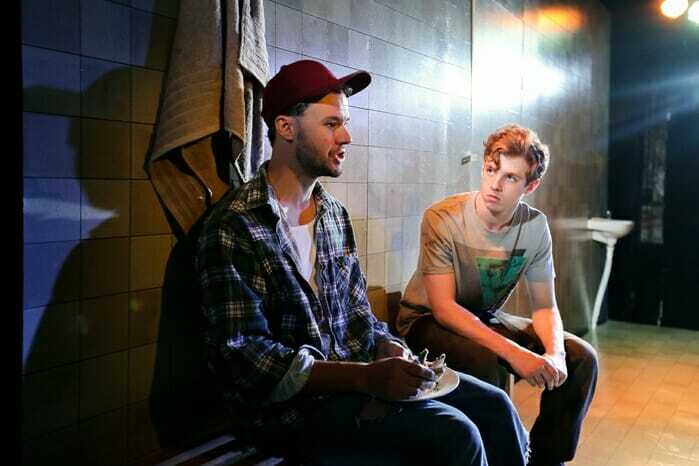 The character of Shane is beautifully written and the audience can feel real empathy for him. It never looks like he’s taking advantage of his new friends but he does rely upon them. In the role of Shane, Roly Botha is sensational, he completely immerses himself in the character of a scared young boy. His body is in a near constant state of quivering fear while his manner of speaking is on point. I found myself totally captivated by his flawless and intense performance. Stephen Connery-Brown, playing Peter, delivers perfect comic timing which makes this rather touching play also incredibly funny. Dan Hunter plays Will, completing the talented trio, with a solid interpretation of a character that could easily have been seen as a stereotype had it not been in Hunters capable hands. 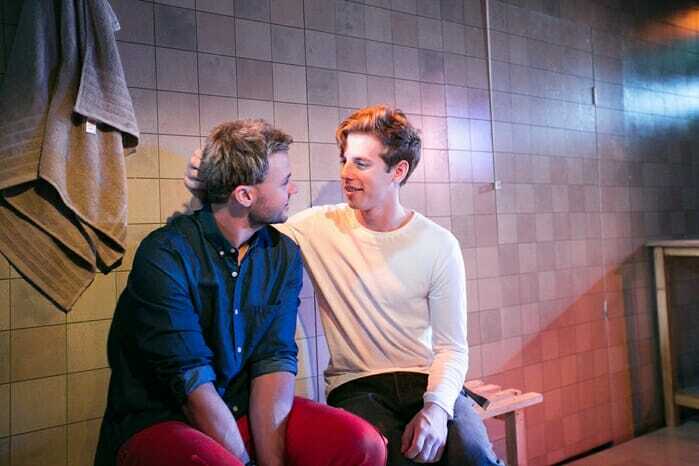 Strangers In Between is an arresting piece of theatre that could easily make the transfer to the West End, it is incredibly well written and performed beautifully by a very talented cast. All friends start as strangers, but in the final touching scene, we realise the richness those friends bring to our lives, and that might just make Strangers In Between a story about love after all.